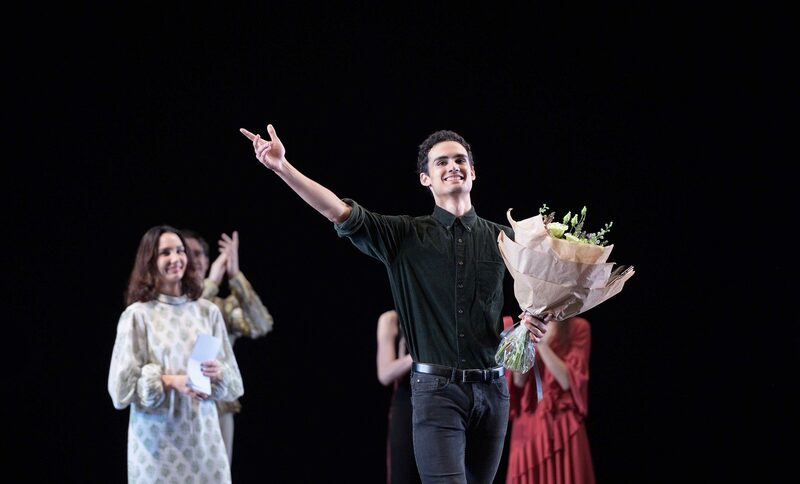 Image: Daneil McCormick accepting the 2018 Emerging Dancer Award © Laurent Liotardo. Having performed a classical pas de deux from Le Corsaire with partner and fellow finalist Francesca Velicu, and Leatherwing Bat, a contemporary solo by Trey McIntyre, Daniel was announced as the winner on stage at the London Coliseum by our Artistic Director, Tamara Rojo. 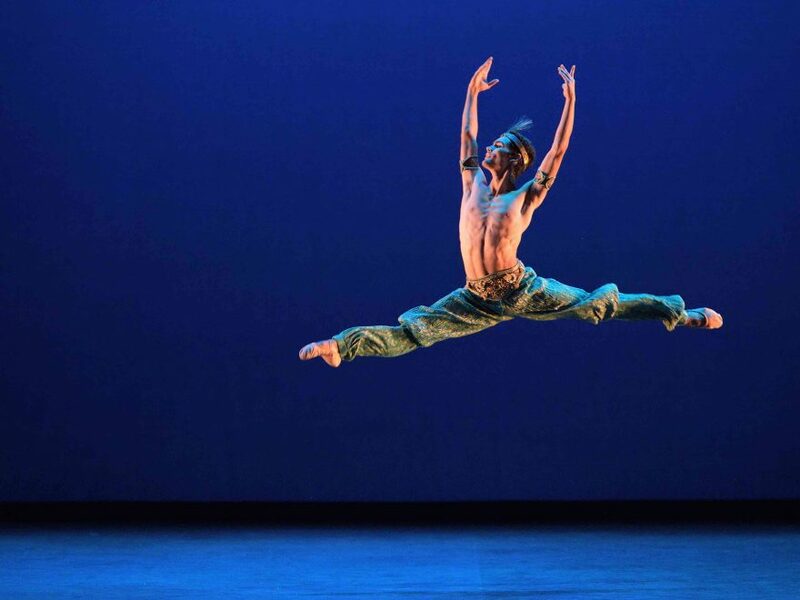 The thrilling evening of dance was livestreamed to audiences across the world last night. Francesca Velicu and Daniel McCormick performing Le Corsaire pas de deux for Emerging Dancer 2018 © Laurent Liotardo. 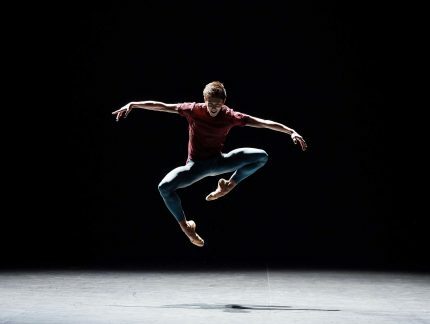 Daniel McCormick performing Le Corsaire pas de deux for Emerging Dancer 2018 © Laurent Liotardo. Terrific #ENBemerging dancer competition tonight. Loved @nancypoop's contemporary piece Toccata for @frenchtoast1658 (loved @frenchtoast1658 ) but Daniel McCormick was a very clear winner. Turning faster than Steven McRae, he'll break hearts and stun audiences! 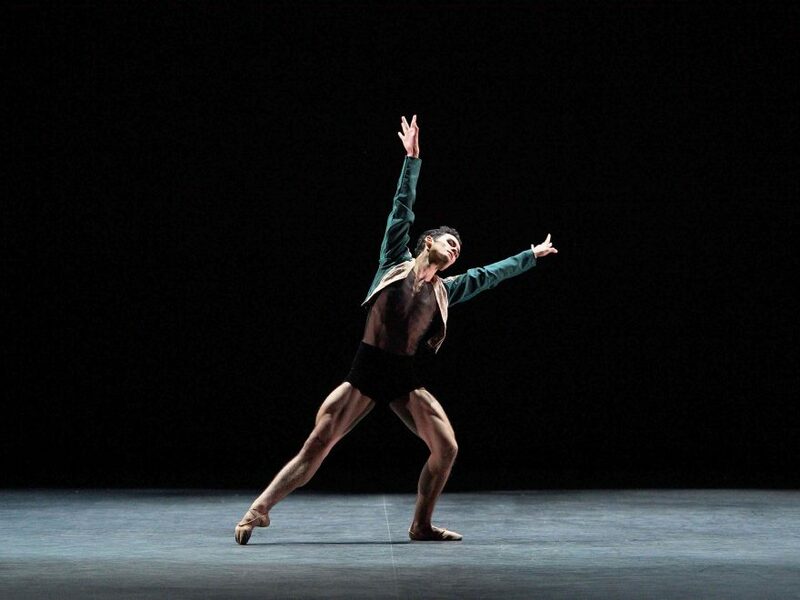 Daniel McCormick performing Leatherwing Bat for Emerging Dancer 2018 © Laurent Liotardo. 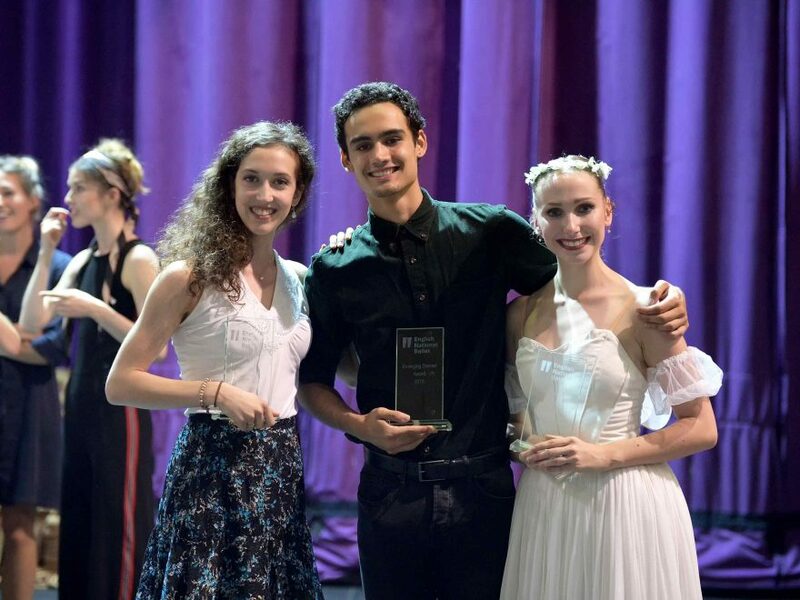 This year's winners: Alice Bellini (People's Choice Award), Daniel McCormick (Emerging Dancer Award) and Georgia Bould (Corps de Ballet Award) © Laurent Liotardo. 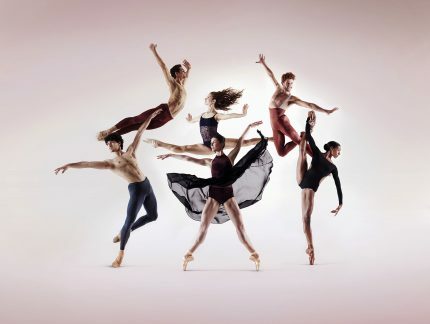 The 2018 Emerging Dancer finalists, winners and judges © Laurent Liotardo. The other finalists this year were Precious Adams, Fernando Carratalá Coloma, Francesca Velicu, Connie Vowles and Giorgio Garrett, who all gave outstanding performances too. Congratulations to them all for their hard work and talent! Bravo to all the talented finalists at the #ENBEmerging tonight. Each one strong and unforgettable in different ways! 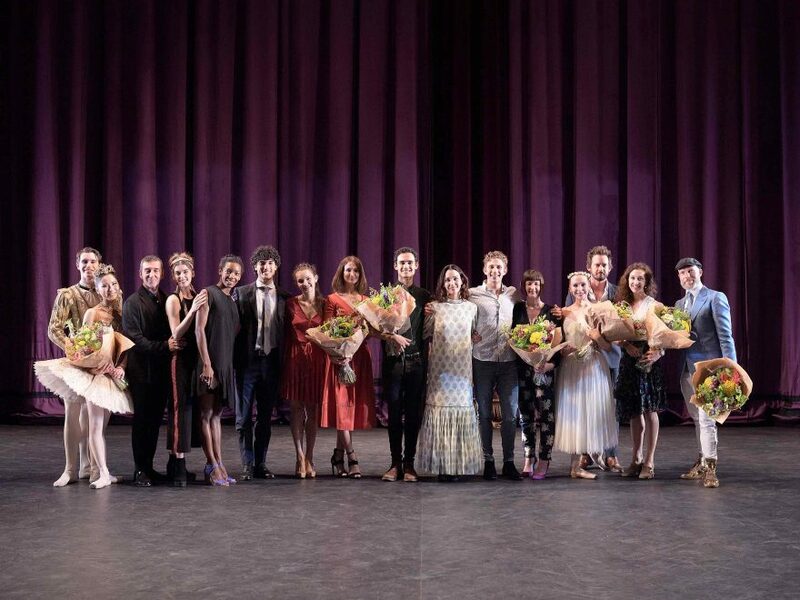 The evening also saw last year’s winner of the People’s Choice Award, Georgia Bould, perform extracts from La Sylphide, while the joint winners of Emerging Dancer 2017, Aitor Arrieta and Rina Kanehara, performed the Act III pas de deux from The Sleeping Beauty. You can still view Emerging Dancer live stream on catch-up today (until approximately 10pm BST). English National Ballet continue performances of The Sleeping Beauty at the London Coliseum this week until 16 June – book your tickets.